What Websites Do Kiwis Visit the Most? Roughly 90 per cent of the New Zealand population are active internet users; we are using more internet than ever before. The rise of online media platforms has been one of the main reasons for this uptake in data usage. From video streaming services such as Netflix, Hulu, and YouTube to music streaming services such as Spotify and Apple Music, we are truly spoilt for choice. As media becomes more easily accessible, demand for unlimited broadband plans are also on the rise. What website do you spend most of your time on? We round up the 10 most popular websites Kiwis spend their time on. It’s no surprise to see Google rank as the most popular website used in New Zealand. 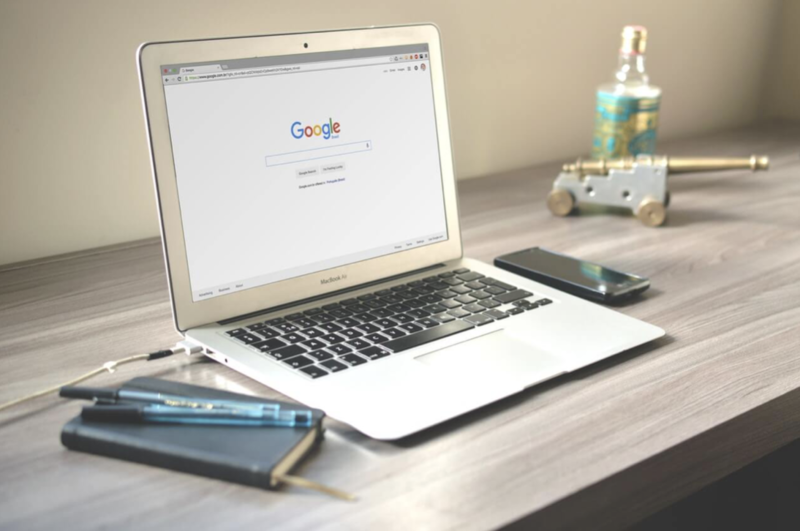 Google is well above everyone else when it comes to being Kiwi’s preferred search engine, with an estimated 94 per cent of people using Google over other options. Data gathered from Alexa estimates the daily time spent on Google NZ is over six minutes and over seven minutes for Google.com. YouTube is the second most popular website in New Zealand. The website is full of free consumable content and is easily accessible across many devices. Over 300 hours of video content are uploaded every hour, so make sure you join one of the many fast fibre broadband plans available in New Zealand to take full advantage of all their video content. Average daily time spent on the website is just over seven minutes, according to Alexa data. Facebook is the most popular social media platform in New Zealand with over 2.9 million active accounts. The website ranks third overall on our list and the average time spent on Facebook according to Alexa data is just above 10 minutes. Trade Me is the go-to website for buying and selling your goods in New Zealand. There are over 6.5 million live listings on the website. Visitors spend an average of 14 minutes on the website and view roughly 10 pages. Stuff.co.nz is the most popular news website in New Zealand. They cover a range of news from local to international, including sports and entertainment. Average time spent on the website is just over 5 minutes, with people viewing at least three pages per day. Instagram is the second most popular social media platform in New Zealand. There are over 1.2 million New Zealanders connected to Instagram and on average people spend at least 6 minutes of their time browsing the website. Everyone’s favourite free encyclopedia makes the list for the most popular websites used by New Zealanders. Wikipedia is often the first website to appear in Google when people search for information about a person or entity, so it no surprise that it receives an extraordinary amount of attention from Kiwis. The New Zealand Herald makes the list at number eight and is the second most popular news website in New Zealand after Stuff. People spend roughly 6 minutes on the website and on average view 2.4 pages. Reddit is steadily growing in popularity, and places 9th on this list. Reddit is full of communities where semi-anonymous individuals publish hilarious, insightful, and unique content every day. Whatever your interest is, there is definitely a Reddit community for you. If you do decide to take a look, you’ll be joining thousands of New Zealanders each day who log on to the site. Last but not least on this list is Netflix. Netlfix is one of the most popular streaming websites in New Zealand and across the world. Pay a flat monthly rate and gain access to a wealth of TV shows and movies – what more could Kiwis want? There is also exclusive content on there as well, which explains why the majority of individuals in their 20s and 30s love the site and view it regularly. With so many websites available for you to access, you’re going to want to join a fast and reliable broadband provider. Using glimp helps you compare broadband plans to find a package which meets your requirements. Try our broadband comparison tool today and get the most out of your internet time!